It was supposed to be another opportunity for Pakistan to shine on the world’s stage. 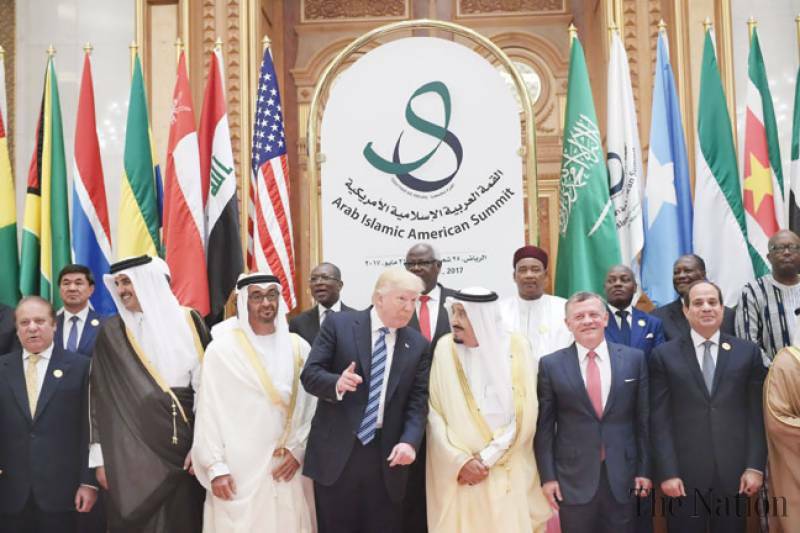 An international summit in Riyadh attended by world leaders including the American President Donald Trump. We would be standing side by side with other Muslim leaders including our close allies Saudi Arabia and our message would be clear to all. Only, that’s not what happened. We were caught completely off guard. What happened? The first problem rose during US President Donald Trump’s visit to Saudi. According to reports, ‘something has gone terribly wrong‘. The reason for the panic? At the ‘Arab Islamic American Summit,’ Pakistan was not highlighted nor given opportunity to present its view. It was a snub felt across the nation, but should it have been so painful? There are a few things that must be considered. Fifty-five nations were present at the summit. Keynote addresses were given by Saudi and American leaders who did not mention Pakistan’s sacrifices. It is unfortunate, but we must consider the circumstances. 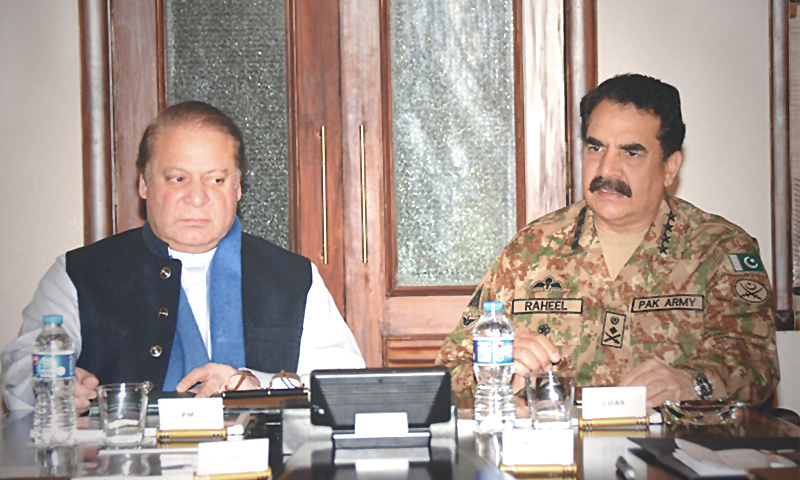 The summit took place soon after a series of mob attacks in Pakistan, statements by IHC and the Interior Ministry whipping up religious anger over blasphemy issue, kidnapping and torture of liberal bloggers, and the state’s full attention being paid to tracking down anyone who criticises Army on social media. Meanwhile, TTP is opening offices in KP. World forums are not arranged by ISPR to promote the state’s narrative. In this case, it may have been better that nothing was said about the state’s actions. However, our frustration did not stop with our not being praised. Our media spit on other nations terming them as ‘minion states’ and even said that ‘Terming India a victim of terrorism was also a deeply painful insult,’ as if we are the only nation that has suffered from terrorists. According to reports, PM spent hours preparing and rehearsing his speech for the summit, only to learn that he was not designated a time slot. It was a huge surprise to the entire delegation, but how is this possible? The entire affair appears to be another case of our believing what we want to believe instead of looking at the cold hard reality. It was not just that we were denied the spot light we believed we deserved, policy statements by our allies were completely out of sync with what we expected also. The Saudi King turned the summit into an anti-Iran platform, terming Iran as “the spearhead of global terrorism”. This means that the Islamic Military Alliance led by our own Gen Raheel Sharif is actually a Sunni military alliance against our own neighbor Iran? We were shocked and surprised, but why? Journalists, bloggers, and even some politicians have warned of this since the beginning. Only problem, these were so called ‘liberals’ who were accused of working against Pakistan’s interests. Once again, we allowed ourselves to believe what we wanted to believe instead of looking at the cold hard reality. Many have blamed the Foreign Office, or what passes for a Foreign Office in this country, for poor diplomacy that led to these embarrassments. But it is not the FO alone that is responsible, it is all of us. As long as we continue to believe that our wishes are reality, and reality is global conspiracy against Pakistan, we will continue to face such shocks and surprises. Saudi Arabia’s announcement of a new 34-nation Islamic military alliance was greeted with cheers by many, and confusion by others. 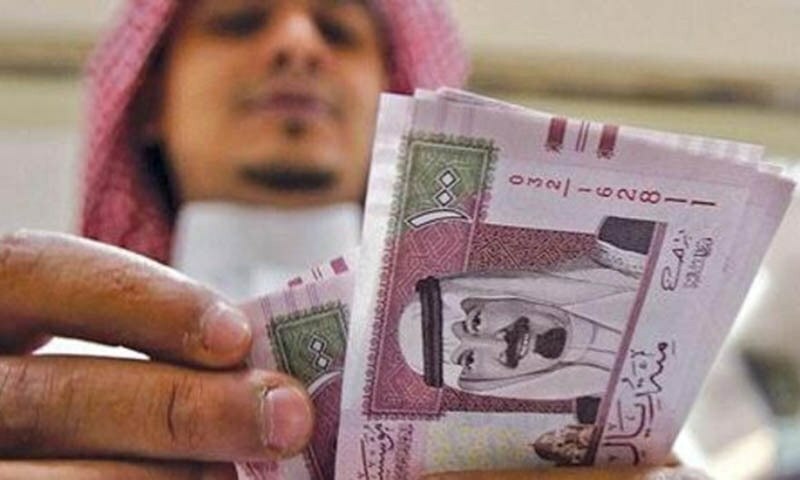 For many Muslims, the idea of a grand alliance of Islamic countries was a dream come true, forgetting the sad reality that the Ummah is deeply divided over sectarian and political issues, many of the divisions being made worse by Saudi Arabia, not better. In Islamabad, confusion had once again taken hold as Foreign Secretary Aizaz Chaudhry expressed surprise about the announcement saying the first he heard of Pakistan’s joining the alliance was in the news. Some wondered if this was another case of GHQ making a decision and forgetting to deliver the script to the civilians on time. Unsurprisingly, it looks like that analysis might be spot on. 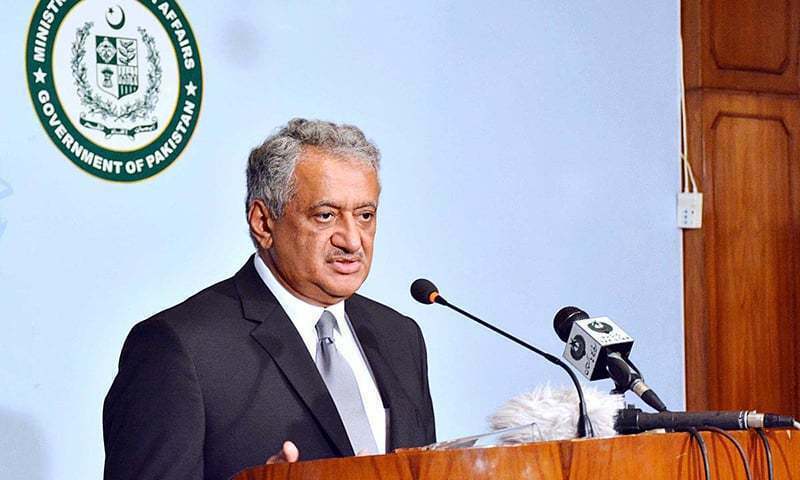 Senior officials at the foreign ministry initially expressed surprise at Pakistan being included in the new group, and said that Riyadh had not taken Islamabad on board. But subsequent developments revealed that Saudi Arabia had been given a secret commitment regarding joining the alliance, about which the Foreign Office was not aware. There were speculations about who had given that assurance. The military had started in October a new phase in the bilateral defence relationship by training Saudi special forces personnel in countering terrorism. Chief of Army Staff Gen Raheel Sharif visited Saudi Arabia after the special exercises for discussions on counter-terrorism efforts. 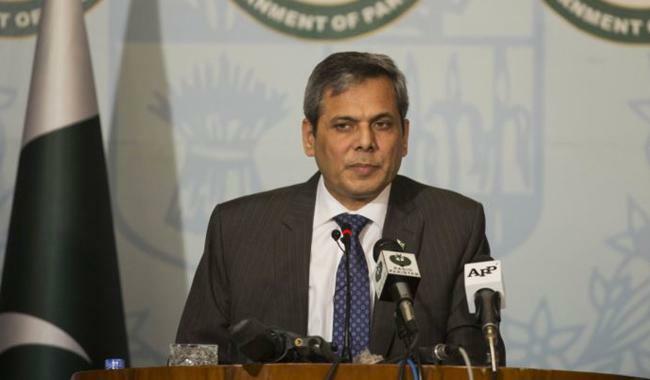 Today the Foreign Office has confirmed Pakistan’s commitment to Saudi Arabia’s new military alliance, however explains that officials are still “awaiting further details to decide the extent of its participation in different activities of the alliance”. It was not clarified whether they are awaiting these details from Riyadh or Rawalpindi. For all the confusion, one thing seems clear: Important decisions are appearing to be made outside the constitutional channels. As long as this continues, don’t expect the ‘coup’ question to disappear. Can you untangle FO’s statement on ISIS? This statement is an amazingly twisted web of contradictions that leaves little confidence in the government. How can the government say that no one in Pakistan has ideological affinities with the organisation? Has the FO spokesperson not seen the video of Jamia Hafsa students? The FO even admits in its statement that “we have seen some pamphlets and wall-chalking“, but then terms all of this as “no proof.” Actually, pamphlets have been distributed since months demanding cooperation of people and recruiting supporters. This is not “proof” for the government? Are they waiting for the self-described Khalifa to open its Embassy? Then there is the claim that “our security agencies are aware of this threat and will take appropriate measures”. If there is no Islamic State presence in Pakistan, how can it be a threat that our security agencies are aware of? Trying to unravel this web of doublespeak has only given me a headache. I am left with this question, how can we be expected to trust that the state to take the jihadi threat seriously when it continues to issue blatant denials that contradict obvious reality?